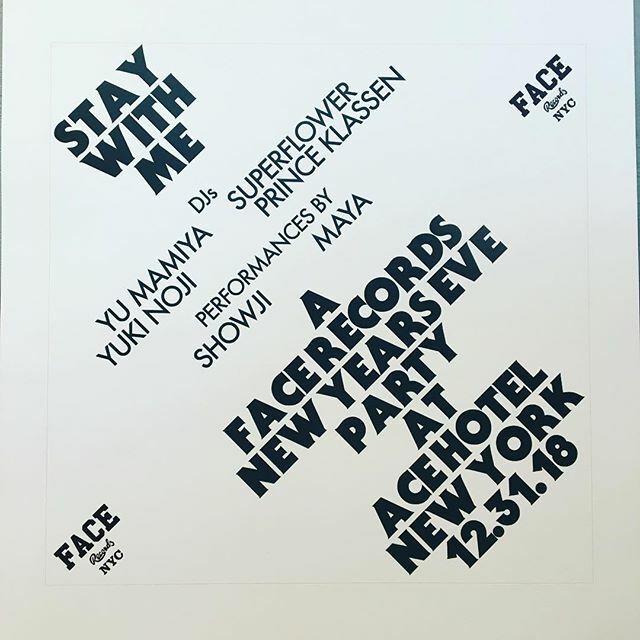 Face Records NYC is teaming up with ACE HOTEL NEWYORK for a New Year’s Eve celebration. Previous Post Casiopea / Casiopea has arrived in FACE RECORDS NYC. Next Post Yoshida Minako / Flapper has arrived in FACE RECORDS NYC.